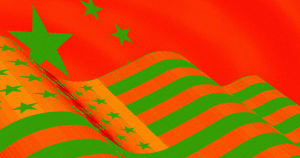 MIT and Yale — and possibly Microsoft — are helping build China's surveillance state. When Google announced Project Dragonfly, a version of its search engine that would cater to China’s censored internet, pockets of the internet and the company’s own workforce erupted in protest. The news of these partnerships comes after Chinese security company SenseNets accidentally left a database of information about how the government constantly tracks 2.5 million people in the Xinjiang province unsecured on the internet. The database revealed that SenseNets was one of the companies responsible for China’s ongoing effort to detain and “standardize” its population of Turkish Uighur population, according to Foreign Policy. Meanwhile, MIT announced early last year that it would partner with a Chinese AI company, SenseTime — which happens to own 49 percent of SenseNets and independently helps the Chinese government develop surveillance systems as well. MIT researchers have also partnered with iFlytek, a Chinese company that has been flagged by human rights watchdogs for its work monitoring electronic communications. Scientists from Yale, Carnegie Mellon University, and American companies including drone software firm Exyn and data center Amax have partnered with Chinese scientists and companies developing surveillance tech for the government. Thermo Fisher sold DNA mapping technology to the Xinjiang government. SenseNets also claimed to have a partnership with Microsoft, which a Microsoft denied in a comment to Foreign Policy. Late last year, the Commerce Department proposed new regulations to handle how various companies and universities develop emerging technologies like facial recognition software, but Foreign Policy argues that the rules are too vague to actually block American scientists from contributing to Chinese surveillance. Unfortunately, the onus remains on individual companies and scientists to make sure they’re not complicit in humans rights abuses around the world.